The Tsunago pencil sharpener lets you "chain smoke" your pencils by connecting pencil stubs together. The Tsunago ("let's connect") has three blades. One sharpens like a normal pencil sharpener. Another bores a hole in the bottom of one stub. The third makes a plug in the other stub. All you need is a bit of wood glue to keep the pencil pieces stuck together. Here's some who used the sharpener for a courageous Blackwing pencil rescue. Caroline Weaver likes pencils so much she has a tattoo of a pencil on her arm. 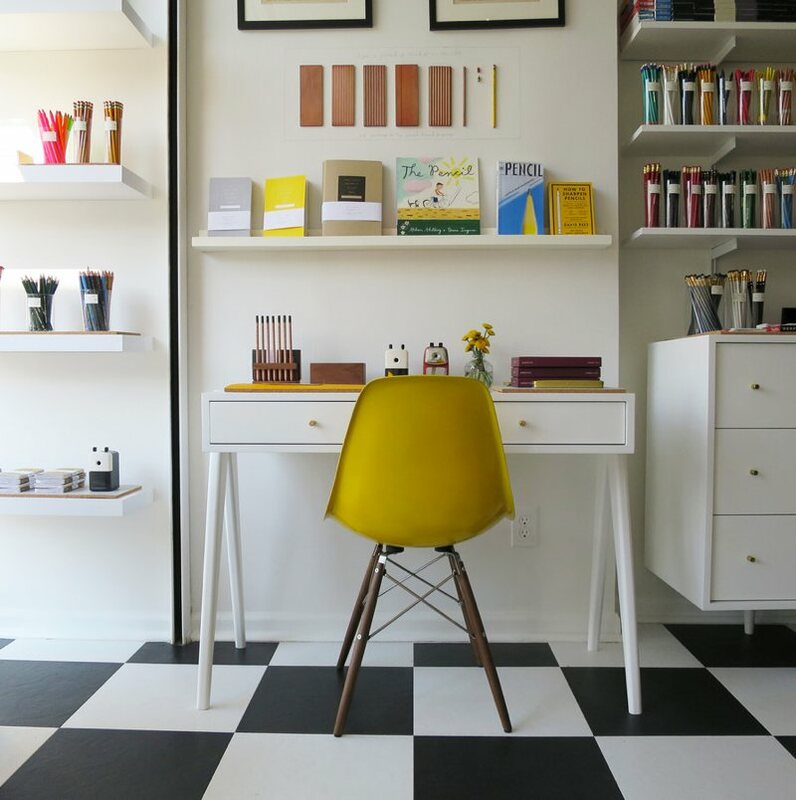 Weaver is the owner of the newly opened C. W. Pencil Enterprise, a preciously tiny retail store in Lower Manhattan. The store has an impressive inventory of dead stock (which you can order online). A 1950s era Blackwing 602 runs $60. I want to thank Pencils.com for sponsoring Boing Boing. 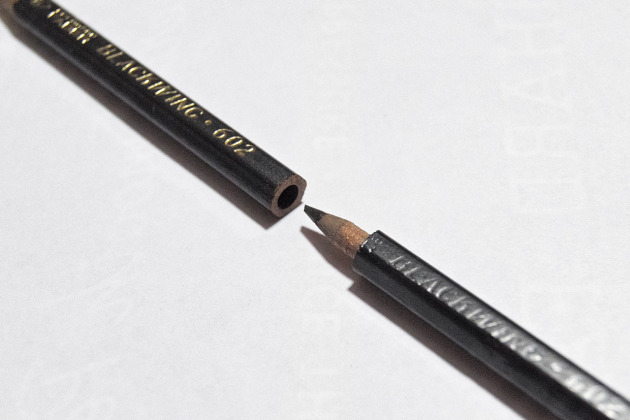 You might be aware that I love their Blackwing 602 pencil. Recently Pencils.com introduced a new Blackwing model: the Pearl. I have to say this is my favorite Blackwing yet. The graphite is ever-so-slightly softer than the 602, making a rich dark line with very little pressure. It's perfect! My daughters swiped the 12-pack of Pearls I ordered, and I had to get another. I'm asking my wife to buy me a gross for my birthday.